According to artistic and archaeological findings, the Corinthian helmet is thought to be the most commonly worn helmet during the Archaic periods. This Greek Corinthian Helmet offers a wonderful choice for display or costume wear. 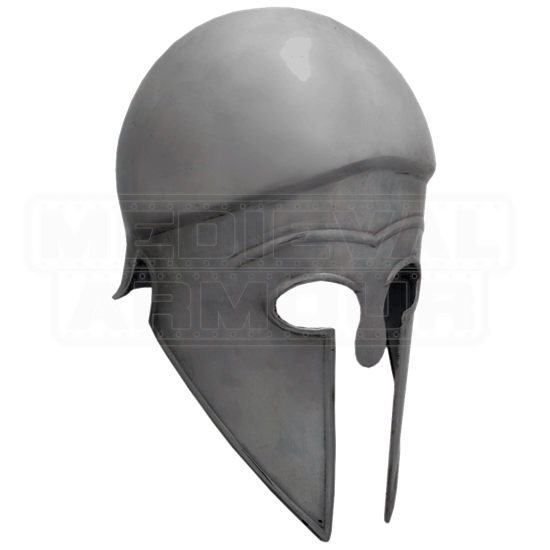 Featuring the traditional style of a Corinthian helm, this helmet features a nose guard and long, pointed cheek plates that were designed to offer extra protection to the face. The top of the head is smooth and rounded, while the face features holes for the eyes and an arched line to depict eyebrows. 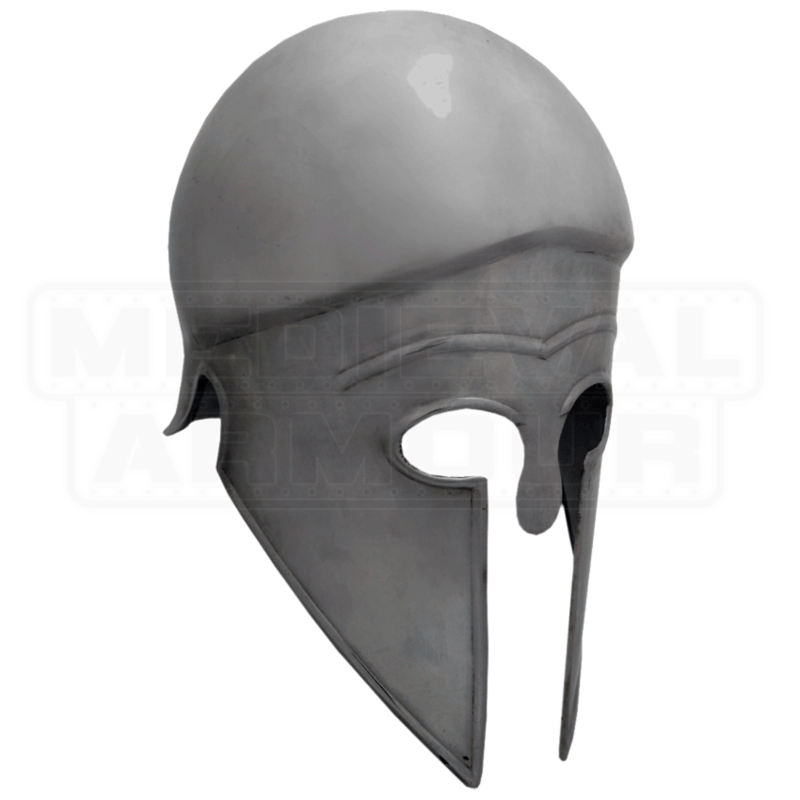 Made entirely by hand from steel, this Greek Corinthian Helmet will be a wonderful addition to any collection or an authentic touch to your ancient Greek armor.